Because a revolution changes everything, suffice it to say ambition wasn’t in short supply when we designed the 60 Day Revolution. 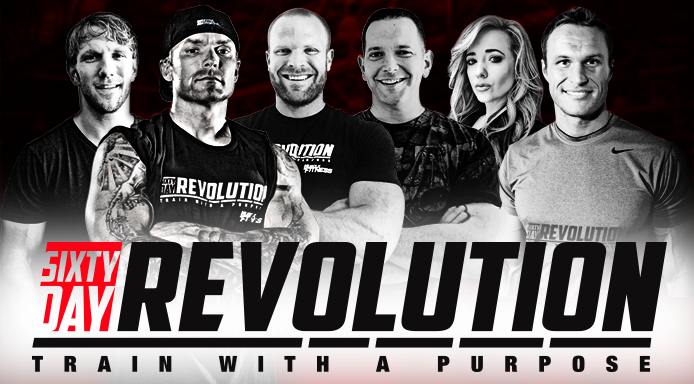 Spearheaded by James Grage, co-founder of BPI Sports and featured in the program, the 60 Day Revolution is the result of a collaboration between Grage, M&F’s editors, and advisers Nerijus Bagdonas, Kyle Hunt, and Jim Sayih. This program doesn’t lock you into specific exercises. Rather, we show you which movement patterns must be trained in each session and provide exercises from which to choose. For example, it’s not necessary for everyone to barbell bench-press, but for overall development, it is necessary to do a horizontal press of some kind. Once you see the categories that need to be filled in and how to undulate intensity, you’ll learn to program for the long-term. As the old saying goes, “Give a man a fish and you feed him for a day. Teach a man to fish and you feed him for life.” We aimed to set you on your own self-sustaining path with an effective training and nutrition program—including motivation from top experts to keep you pushing. And yes, you’ll get positively jacked in just 60 days. 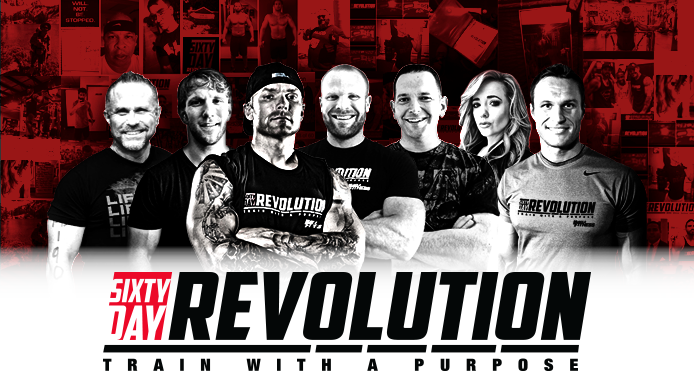 Join the 60 Day Revolution community to share your program updates. Download the full program below and you can be entered to win a BPI prize pack!